Find out everything you need to know about NY Sports in our comprehensive, definitive guide to sporting events and activities in the state. Whether you're looking to watch or play sports in New York, we are your number one resource! 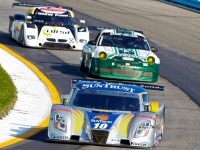 Experience auto racing in NY at its best at any of these fun-filled race tracks. Whether you're looking to watch auto racing or get behind the wheel yourself, here is a series of auto race tracks in New York. If you're looking for New York Horse racing, we'll lead you to all the great racetracks in the state. 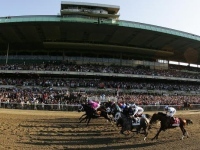 Bet big and win big at any of these wonderful horse race tracks in New York!